There are many benefits to having an energy efficient outdoor shop or barn. Aside from saving energy, an efficient outdoor building can keep the environment around your structure healthy and safe; save money on your water bill; keep your animals happier and healthier; and save you from costly structural repairs. Whether you are looking to build a new structure, or make changes to an existing structure, there are many ways you can make your outdoor shop or barn more energy efficient. Location matters. If possible, carefully consider where you build your shop or barn. Consider drainage, sun exposure and how the building may affect your neighbors. Start with a sustainable design plan. A sustainable design plan, according to the U.S. General Services Administration, includes the ability to use environmentally preferable products; protect and conserve water; enhance indoor environmental quality; and optimize operational and maintenance practices. If you are hiring a contractor to help build your structure, make sure you look for companies who specialize in “green” buildings and energy efficient practices. Choose efficient building methods. Pole barns offer reliable shelter without costly excavation, concrete foundations or general site disruption. Replace indoor lighting with energy efficient LED bulbs. Ensure your existing structure has adequate insulation levels. Choose outdoor lighting designed to be energy efficient, and install motion detectors to reduce energy consumption when not in use. 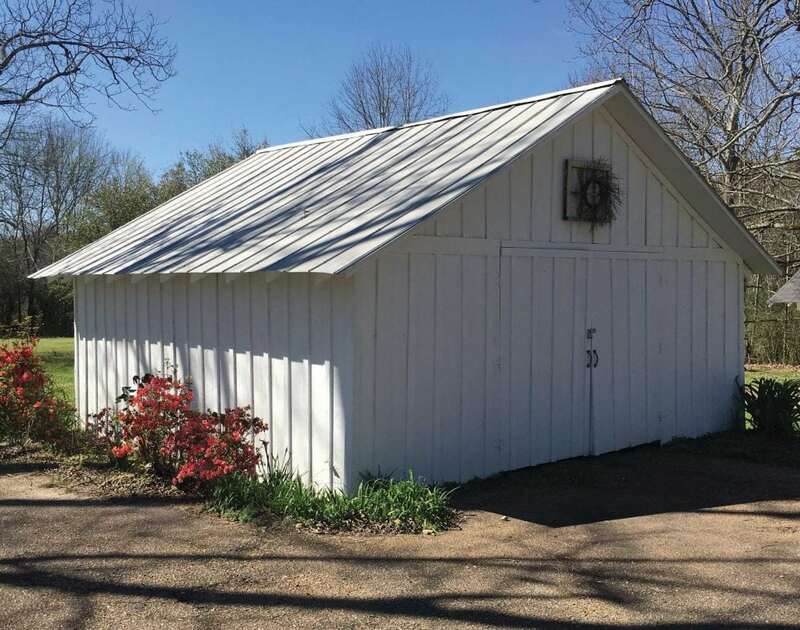 Plant trees around your metal shed or barn. In colder climates, trees act as a windbreak, and in warmer climates, trees have a natural cooling effect that can reduce temperatures in your metal building 3 to 6 degrees Fahrenheit. Consider adding a ceiling fan to circulate air. Typically, there is a 2 degree Fahrenheit temperature increase for every one-foot increase in ceiling height. A ceiling fan can help keep warm air close to the ground in the winter, and circulate fresher, cooler air in the summer. Not only will this help with energy costs, it will also help keep the air in the building from becoming hot and stagnant, which will keep harmful bacteria from building and will keep insects at bay. To learn more about how to make your outdoor shop or barn more energy efficient, contact the energy experts at your local electric cooperative.